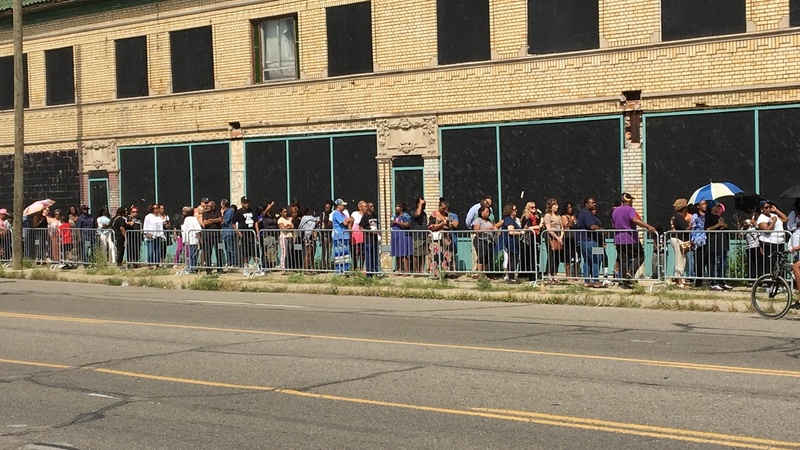 Aretha Fans Flock To Her Hometown Church For A Last Glimpse Of The Queen The Queen of Soul returned to her hometown church today — New Bethel Baptist in Detroit. She lay in repose as fans lined up to offer tribute. 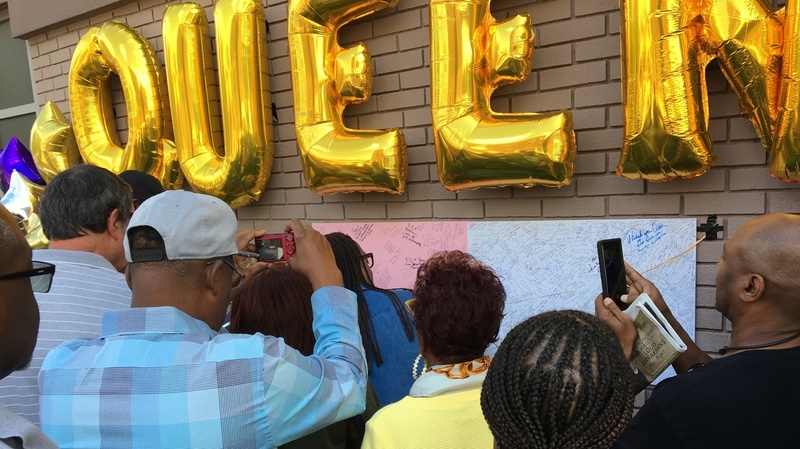 Fans of Aretha Franklin left messages on poster board outside of the New Bethel Baptist Church where the late "Queen of Soul" lay in repose. Arlesley Grimes, from Detroit, stood waiting to enter with his wife and aunt, "We wanted to send Aretha off on a good note," he said. Outside on a wall of the church, balloons spell out "Aretha." On the ground, there are flowers and candles. Fans exiting the church can write messages on poster boards. Cynthia Walters signed "rest in peace. " Walters says, once a year, Franklin would have dinners at the church that were free for everybody. "I would come down when she was performing in the church, there were lots of people just like now," says Walters. "It was a long wait for a long time. The same way then and the same way now. She is really the Queen and everyone comes to see her." Fans lined up on the street outside the church to see Aretha Franklin, lying in repose in the church where her late father was the pastor for many years. Mansfield Matthewson drove a couple of hours from Grand Rapids to attend. "I think the first voice I ever heard as a child was Aretha Franklin's, " says Matthewson. "My parents loved her, I love her, my son loves her — so it's multi-generational in my family." Sheila Gibson came in from Sacramento, Calif. but was born in Detroit. " I took Aretha through every piece of my life. All through college, any difficulties, I'd play her music," says Gibson. "So I came from California to be a part of a new piece of it." This public viewing at New Bethel Baptist Church is the last before Franklin's funeral which will be held tomorrow morning at 10am at Greater Grace Temple in Detroit.